Health protection, labor safety and environment protection are the highest priorities of SMNM-VECO, Engineering Construction Company. Commitment to Health, Safety and Environment is an integral part of SMNM-VECO’s business. 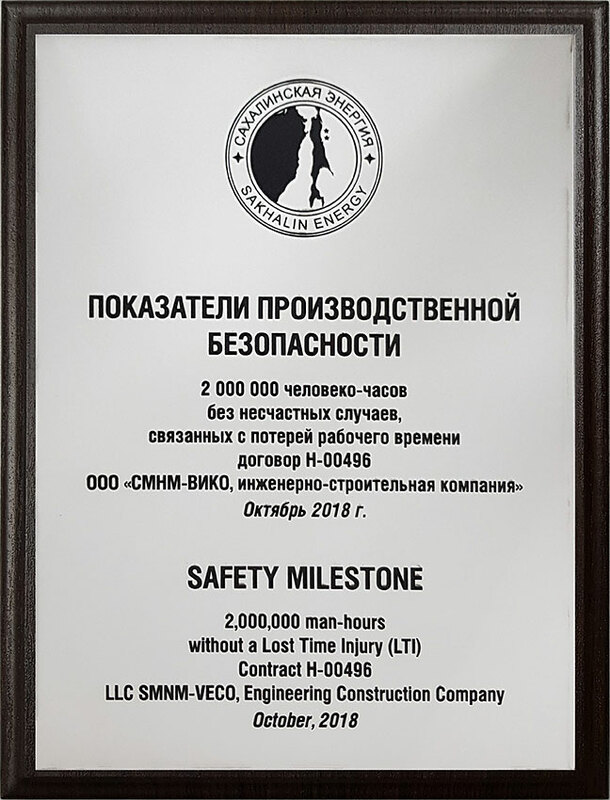 The purpose of Engineering Construction Company SMNM-VECO, LLC is to ensure flawless operation of existing Assets of the largest oil and gas companies and to provide Client with a wide range of competent construction and engineering solutions generated by a team of professionals sharing the same values as to careful attitude to human life and health, environment protection and respect to community. 1. Ensure that protection of personnel lives and health and environmental protection are identified as priorities. 2. All employees shall be responsible to comply with requirements of regulations, rules, standards and guidelines related to Health, Safety (Industrial Safety) and Environment. 3. Implement and improve HSE Management System to ensure risk mitigation. 4. Strive to continuously improve Health, Safety (Industrial Safety), and Environment condition. 5. Develop and implement preventive measures to avoid accidents, incidents and industrial injuries. Our purpose is Goal-Zero! 6. Continuously improve personnel qualification. 7. Develop a culture of safety behaviour and improve work safety practices. 8. Continuously monitor work conditions and labor safety, industrial and environmental safety. 9. Require Contractors and Subcontractors to comply with SMNM-VECO, Engineering Construction Company’s Health, Safety (Industrial safety) and Environment Policy. 10. Inform employees of Health, Safety (Industrial Safety), and Environment condition at SMNM-VECO, Engineering Construction Company’s Assets. Communicate with employees in order to improve intervention culture. Engineering Construction Company SMNM-VECO, LLC are aware that any violation of requirements established by Company prevents both Company and Contractor from achieving their goals and targets. 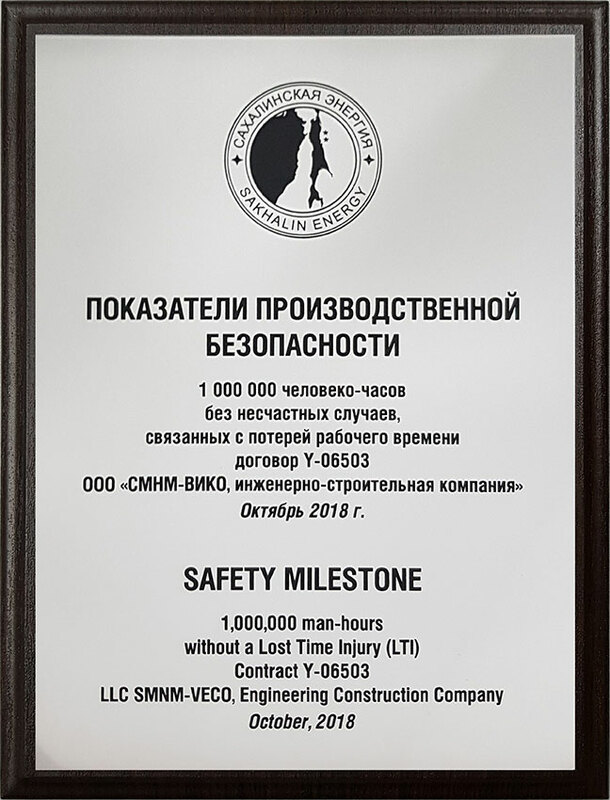 Engineering Construction Company SMNM-VECO, LLC are committed to providing all kinds of support to both SMV and SEIC personnel in performing our common duty to comply with Health, Safety (Industrial Safety) and Environment requirements.